Few states know how to celebrate fall like Nevada. Between the endless Halloween events, harvest festivals, and fields of pumpkin picking, there are endless memories to be made. 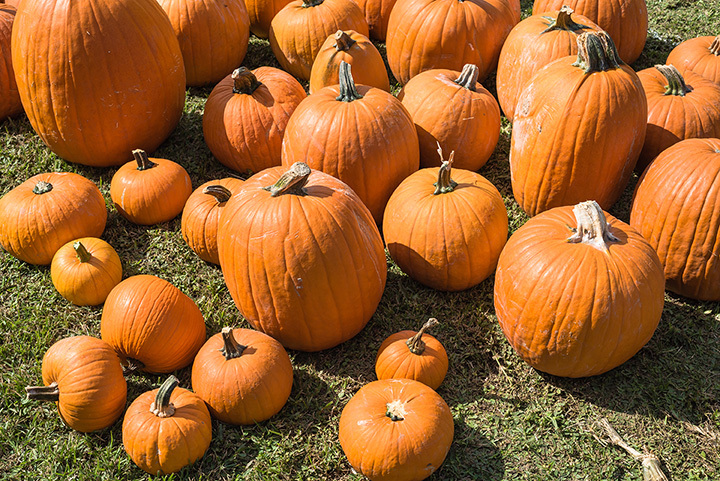 We recommend starting with the following eight pumpkin picking spots to really feel the autumn spirit! Since 1920, Gilcrease Orchard has provided Las Vegans with a convenient spot to pick fresh fruit during most of the year and pumpkins during the fall. They’re known for bringing life to the desert (and for their famous cidery to boot). Visitors in the fall can look forward to supporting this Vegas institution and picking out a perfect pumpkin. Lattin Farms in Fallon, Nevada has been providing the neighborhood with locally grown crops since at least 1977. The farm sits on over 400 acres and originally began in 1909. They’re known for their corn maze, heart of gold cantaloupe, and, of course, their excellent fall festival with pumpkin picking. The Lazy P Adventure Farm in Winnemucca boasts two corn mazes on six acres, a bounce house, petting zoo, hay mountain, antique tractor show, Barn of Terror, and an excellent selection of u-pick pumpkins. The fall farm festival begins in late September and runs every weekend through October. Basic entrance fee starts at $5. The Moapa Valley Corn Maze and farm is absolutely jam packed with events all throughout October. Beginning in early October, visitors can enjoy zombie paintball, spooky hayrides, night maze, pig races, and u-pick pumpkins. The fun doesn’t stop until the month is over. The Andelin Family Farm begins celebrating the fall harvest festival in mid-September with a pumpkin patch, corn maze, zombie paintball, and “corn creepers.” The pumpkin patch remains open from Tuesday through Saturday. Consider taking advantage of their pumpkin patch and corn maze combo pass. The Corley Ranch in Gardnerville, Nevada invites visitors every day of the week during October to celebrate the fall. Stop by their field of pumpkins seven days a week from 11 a.m. until 5 p.m. to find the perfect pumpkin or gourd for you. Pumpkins are priced separately from admission ticket. Ferrari Farms celebrates the seasons in style. Their fall festival opens at the end of October and invites visitors to “spend hours searching through over 40 different varieties of pumpkins, squash, gourds and decorations.” When you’re done, consider signing up for the zombie hunt. Can’t get out to the country this year? No sweat. Stop by Farmer John’s Halloween Town, located at the Galleria Mall in Las Vegas and Boca Park in Summerlin. The self-styled “World’s Greater Pumpkin Patch” offers over 30 attractions, plus “bounce houses, giant slides, pumpkin decorating, food and of course, a HUGE variety of pumpkins,” according to their website.